If you’ve never had a crown, you may not appreciate the traditional process of this type of dental repair. A crown is a cap that fits over the entire surface of a broken, decayed or damaged tooth. A crown restores the strength and shape of a damaged tooth, and improves its appearance. Since the teeth in your mouth support each other, the crown can also help stabilize the adjacent teeth. The traditional process of making a crown can take weeks. The process starts with stabilizing the damaged tooth and fitting it with a temporary crown. The temporary crown is often made of stainless steel or another similar material. The temporary crown stays on the tooth until the permanent crown is ready to be installed. It protects the remainder of the damaged tooth and prevents decay. Your dentist can put a crown in place immediately on a temporary basis, but relies on a dental laboratory to manufacture your permanent crown. In addition to stabilizing the damaged tooth, the dentist will take an impression of it to help the lab create a permanent crown that fits well. The dentist will also take impressions of the opposing teeth to make sure the permanent crown fits well against them. Sometimes, the dentist will make physical impressions; other times, s/he may use a digital scanner to measure the affected teeth. Once your dentist has captured the measurement information, it’s sent off to the dental lab and you wait until your crown is made. Your dentist will place your permanent crown on a second visit 3-4 weeks after you received your temporary crown. While you wait, you may have to avoid certain foods and you may need to change your dental hygiene routine to accommodate your temporary crown. In addition, the temporary crown may not feel very comfortable. Temporary crowns aren’t custom-fit to your mouth, so you can experience pain and discomfort while you wait for your permanent replacement. You can now see why a same-day crown is much more appealing! With a same-day crown, your dentist can manufacture your permanent crown right in the office. You can have your damaged or broken tooth fixed in one simple visit. With the right equipment, your dentist can measure, manufacture and install your permanent, cosmetically attractive crown in one day. There’s no need to wait for weeks, and schedule multiple dental appointments to fix a broken or damaged tooth. Broken teeth hurt, and when you have one, the only thing you want is relief from the pain. Traditional permanent crowns may be made of metal, porcelain-laminated metal, ceramic, resin or porcelain. Same-day crowns are made of porcelain. They can be color-matched to the rest of your teeth, and you can use them right away. 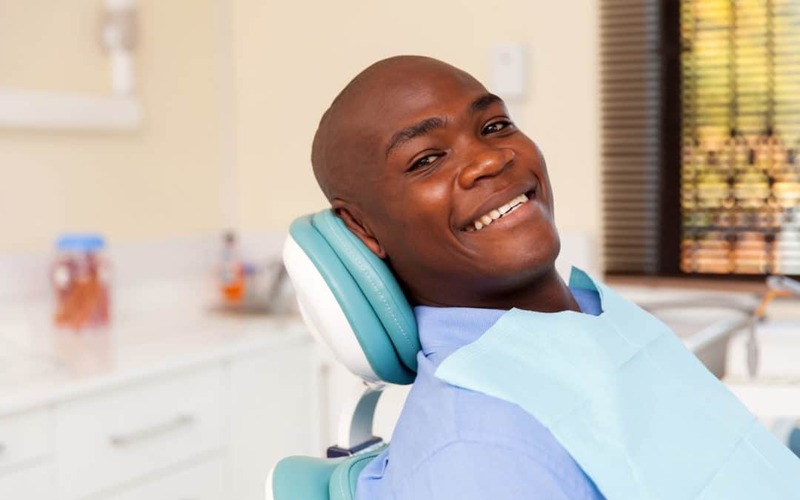 Not every dentist offers same-day crowns, so it’s important to know what services your dentist can provide when you’re dealing with a broken or damaged tooth. With the CEREC technology we use at Viewpoint Dentistry, we can manufacture a custom-fit, perfectly matched permanent crown for you in about an hour. That saves you time and money, and gets you the best possible repair quickly and with a lot less pain and discomfort. Your permanent new crown will be durable, too. That means you can rely on it to perform like one of your natural teeth. When you arrive at our office, we’ll remove any decay or damage to the existing tooth and make a three-dimensional scan of your tooth. This scanning process allows the computer to design a perfect restoration that both looks good and feels like a perfect fit. 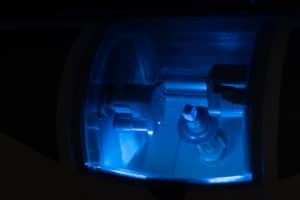 Once the computer designed restoration is ready, the CEREC milling machine goes to work to create your permanent crown. Once complete, the dentist will bond the crown onto your existing tooth permanently. In addition to creating a beautiful restoration, the CEREC process allows us to save as much of your natural tooth as possible. That’s a great advantage because your natural tooth helps makes your restoration stronger and more durable. Why consider a same-day crown? The same-day crown process saves time and money, and minimizes the pain and discomfort of a damaged or broken tooth. Many people have trouble finding the time to make one visit to the dentist. A dental crown traditionally requires two comprehensive visits to correct the problem. With the CEREC computer-aided technology, we can entirely eliminate one visit and weeks of discomfort waiting for a permanent crown from the lab. Our same-day restoration services also eliminate unsightly temporary crowns that draw attention to themselves and make you unhappy with your smile. With CEREC same-day crowns available, why would you consider anything else? If you’d like more information about same-day crowns and other restorative dental services available in the Tri-Cities area, please contact Viewpoint Dentistry at (509) 946-9313.